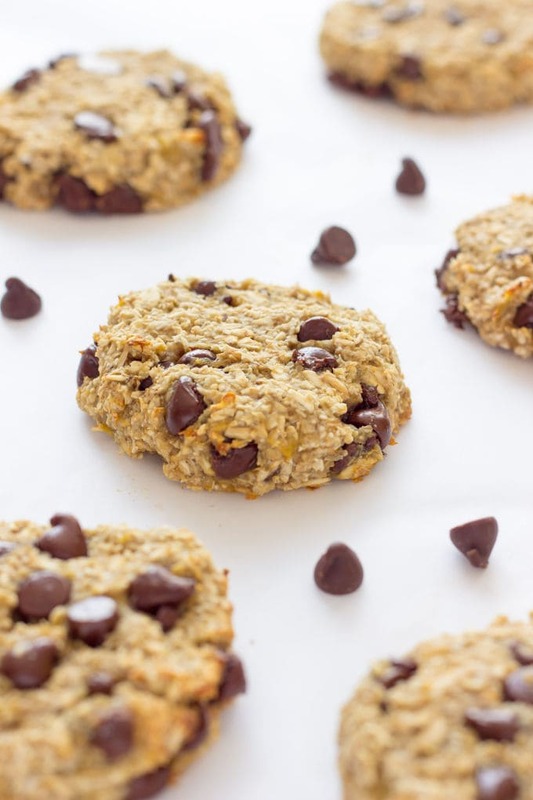 Ready under 20 minutes, these healthy, chewy and soft banana & oatmeal cookies are made with only 3 simple ingredients. 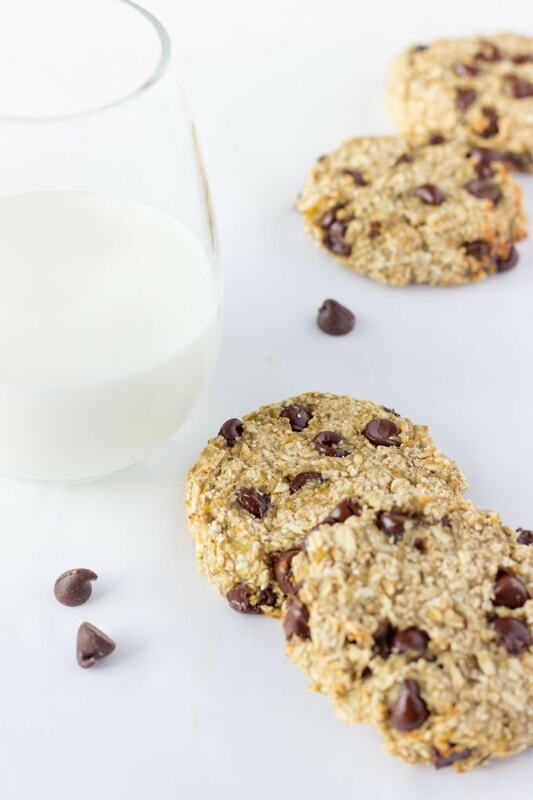 They are a very simple and light version of the traditional oatmeal cookie with added dark chocolate chips. Flourless, eggless, low-calorie and low-fat these delicious cookies are made without butter, brown sugar or baking soda. 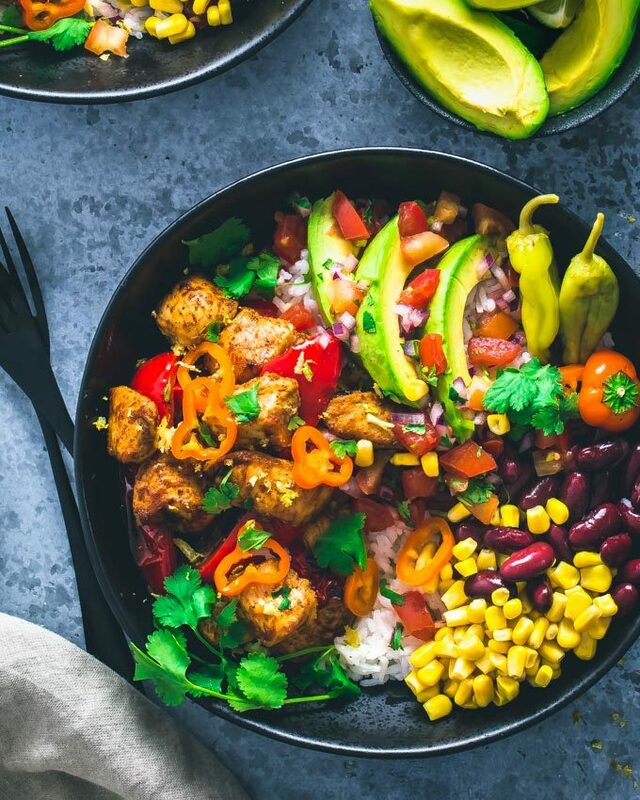 Vegan, gluten-free and dairy-free this recipe is friendly to most diets trending right now. Are you on a low-cholesterol diet? Give these a shot! 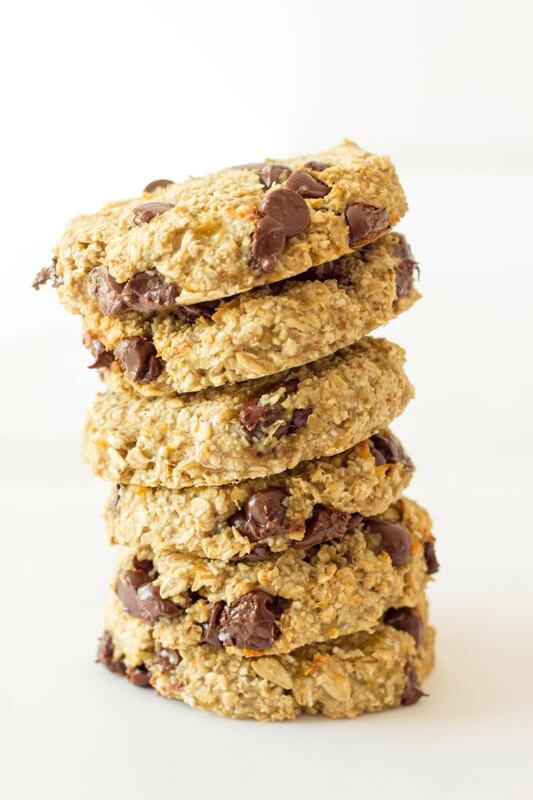 What’s more awesome than a batch of healthy, 3 ingredient banana oatmeal cookies? Ok well, maybe a slice of this healthy and decadent chocolate cake is… But I promise this recipe is a close contender! What I like best about oatmeal cookies is their texture. 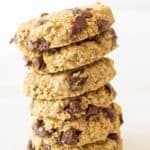 In fact, I would say I prefer chocolate chip cookies made with oatmeal to the iconic, traditional all-purpose flour chocolate chip cookie (Sacrilege! I know!). I love them so much that I would eat oatmeal cookies for breakfast any day of the week. And with such a healthy recipe, there is no shame in doing so! 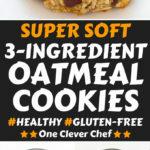 This recipe couldn’t be simpler: With only 3 ingredients you can have a batch of these oatmeal cookies (or 3!) 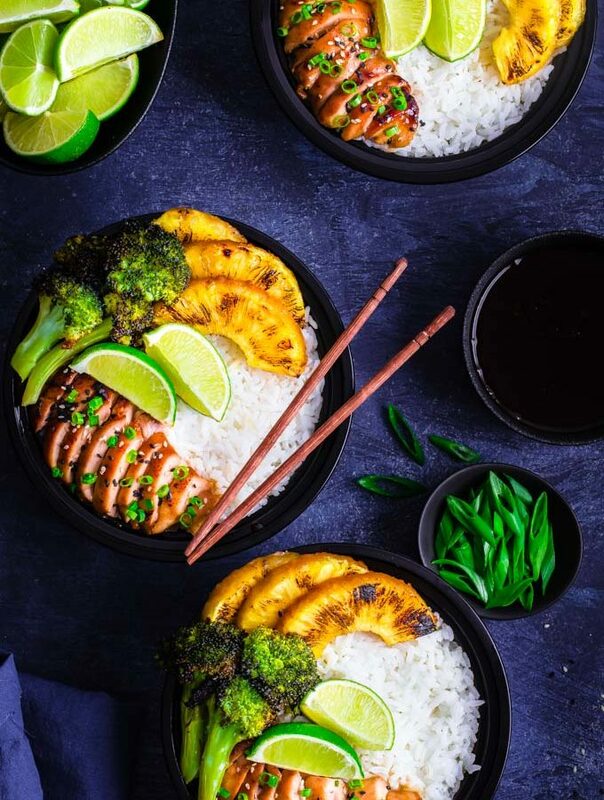 whipped up and baked in literally 20 minutes from now, and I would safely bet that you have those 3 ingredients in your pantry right now! 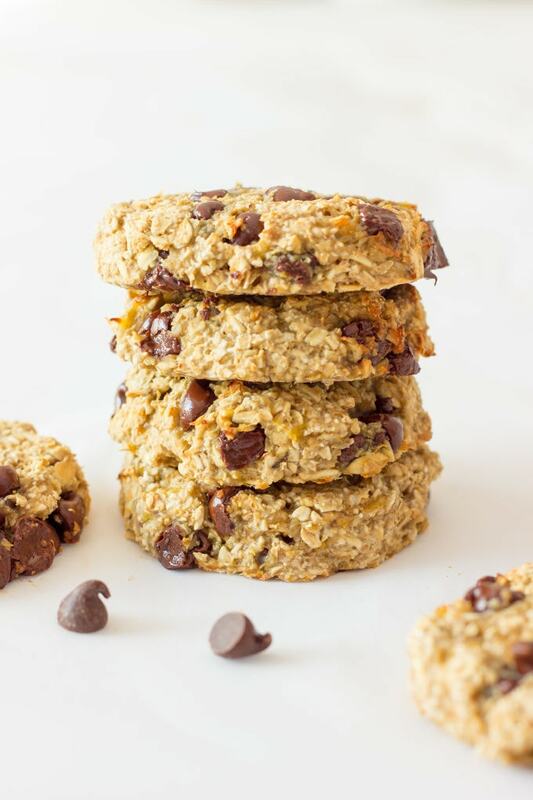 There is a twist to this recipe that will not only give these cookies the perfect texture but also allow you to use pure oatmeal instead of instant oatmeal (which, by the way, is way more healthy). Simply give the oatmeal a quick spin with a mixer or food processor. Do not turn the oatmeal into a fine flour though, you want it to retain some texture! 1-2 seconds will do the trick. 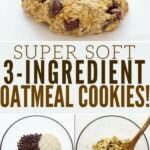 Most oatmeal cookie recipes require lots of ingredients or lengthy preparation steps like chilling the dough before cooking so you don’t end up with thin, flat cookies. 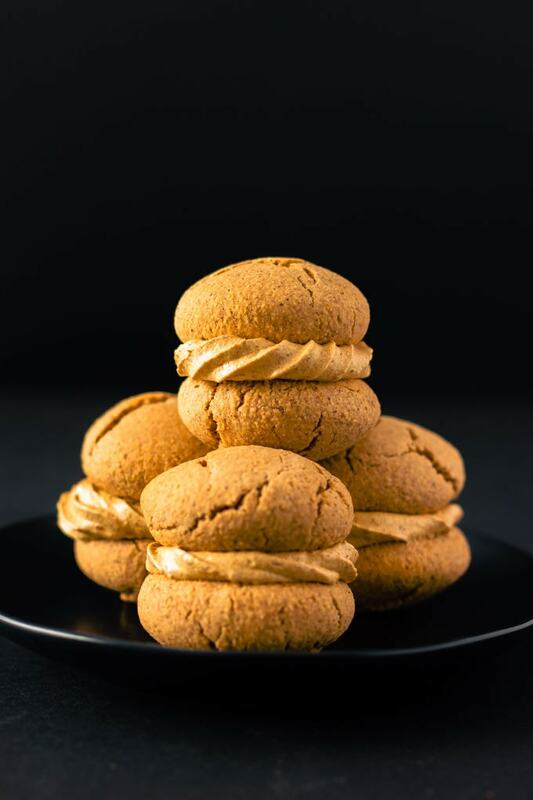 These delicious cookies are made without butter, flour, brown sugar, baking soda or eggs and no need to refrigerate the dough before baking! And the best news is… they are 100% healthy! 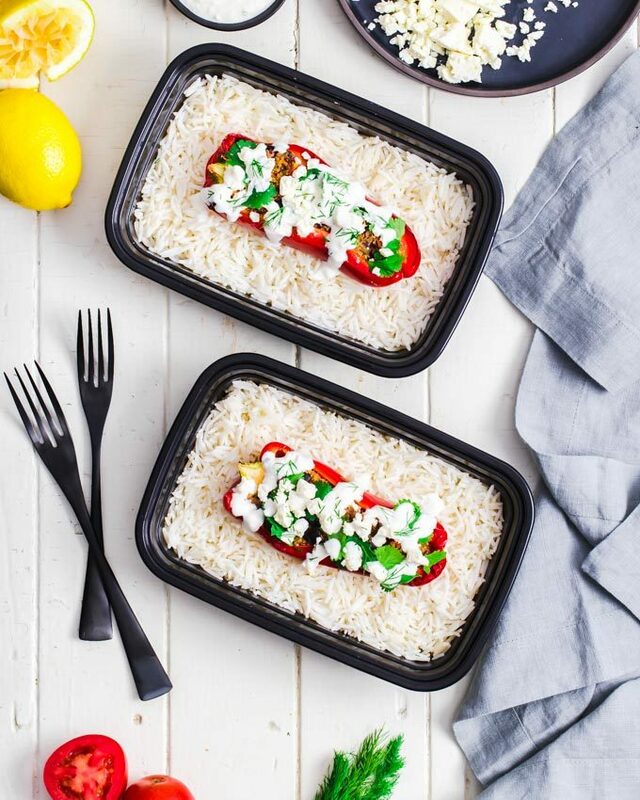 Need some ideas to spice them up a little bit or change the flavor profile? Got more ideas? Leave a comment below! Give the oatmeal a quick spin in a food processor or mixer, for about 1-2 seconds. Do NOT turn the oatmeal into a fine flour if you want your cookies to have a nice, crumbly texture. 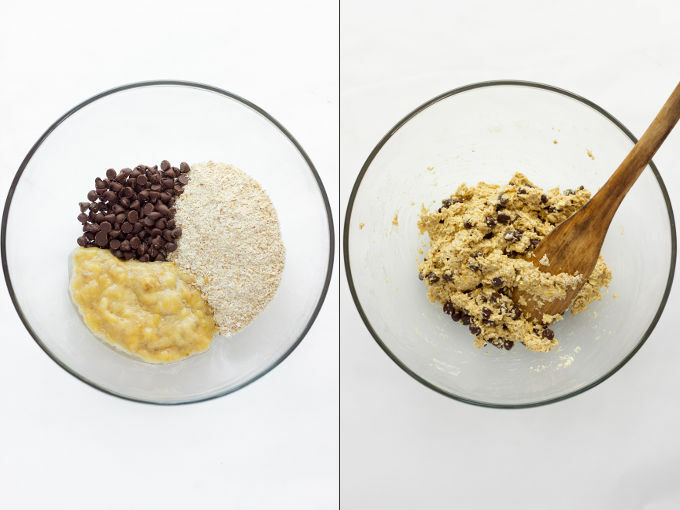 This process is important for your cookies to hold together. Pour all of your ingredients in a large bowl and mix thoroughly. Spoon preparation onto the lined baking sheet and mold the cookies with your fingers. I made 6 cookies, but you could make them smaller! Transfer to oven and bake for 20 minutes or until golden brown. Hi, can i use instan oat instead? i was trying this recipe (from another site) for the first time and mistakenly added an extra half cup of rolled oats and the dough wouldn’t hold together. I was looking for some ideas and came across your site and your suggestion about processing the oats (which is a great idea). However, since I was way past that stage I wound up adding another banana and throwing the whole thing into a food processor and pulsing it a few times. Problem solved. Thanks for the tip. Yes, cookie dough holds much better with flour (any type), hence why I processed some of the rolled oats into oat flour. Also, I’ve learned that the secret to the perfect cookie lies in the consistency of the cookie dough, which shouldn’t be too liquid nor too thick. In a perfect world, it shouldn’t stick to your hands when rolled. The adjustments you made to your recipe were spot on. Glad you enjoyed the recipe and tips! 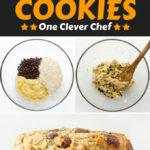 I would definitely go with dried cranberries, as it would not change the consistency/moisture of your cookie dough. I haven’t tried myself, but I am pretty sure that using fresh/thawed cranberries would make the dough too wet. Can I use frozen thawed banana? 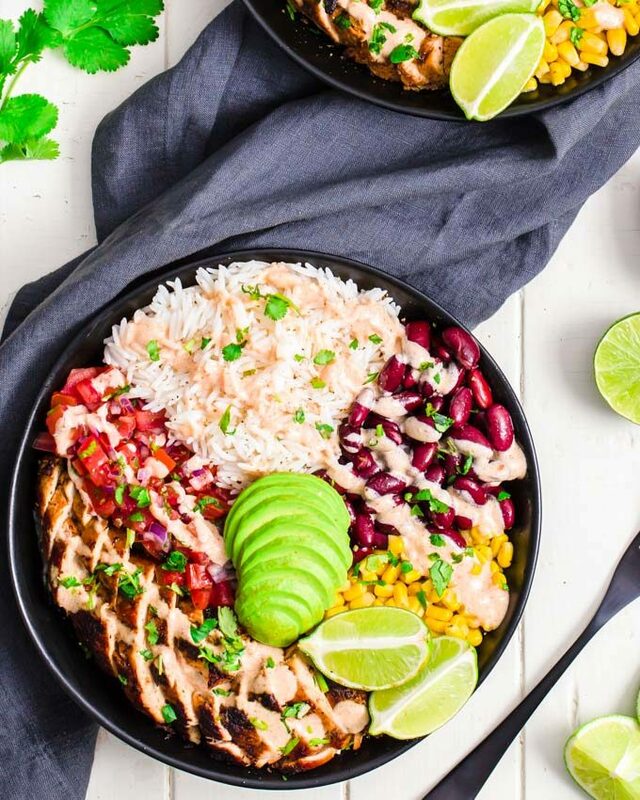 Yes, you can definitely add some protein powder. Be warned: plant-based protein powder, such as pea protein powder, will absorb much more moisture than whey protein. In fact, this type of powder can be used to replace some of the flour in any given recipe, on a ratio pretty close to 1:1. Simply put, if you use 1/2 cup pea protein, then remove the same amount (1/2 cup) of oatmeal from your recipe. Please note that every brand is different and results may vary. Delicious! I used gluten free muesli instead of oats and added a scoop of peanut butter to make them stick. You don’t need to, but they will definitely preserve longer in the fridge (1 week) as opposed to 2-3 days at room temperature. I’m impressed that you answered our friend from the UK so sweetly. I’m looking for healthy recipes for my grandchildren. I will make this cookie recipe soon. I just wanted to thank you for the nice layout! Thank you for your kind words and I hope your grandchildren will love the cookies! P.S. Depending on how many grandchildren you have, you might want to double (or triple!) the recipe, as this recipe will make between 6 to 9 cookies, depending on the size. Hi! I came across your recipe while trying to find some healthy chocolate cookies to satisfy my sweet tooth. I was wondering if I can make adjustments to your recipe by adding say….two table spoons of coco powder and for sweetness , a big of coconut sugar or dates? What do you think I should do to make it into chocolate cookies? Thanks! I would love to try this recipe with pumpkin purée instead of banana- I will of course need to add some sweetener and pumpkin spices. Do you think this would work well? Thanks! SO delicious. Just what I needed for a mid day dessert pick-me-up. Healthy, but also perfectly sweet with the chocolate chips. I added a bit of honey (1-2 teaspoon) and some cinnamon as well. These would be great for children as well…they’d never know the difference. They were the best cookies to eat straight from the oven! My husband loves this. Since I hate using my food processor unless absolutely necessary, I tried using my stick blender for the quick pulses of the oats. It worked! I used a paper plate as a cover so the oatmeal would not go flying out of the bowl. I used a sharp knife to cut an X in the center of the plate and stuck the immersion blender through it. I always add cinnamon to this recipe and my husband does prefer the raisins to the chocolate. I made four for me with chocolate and raisins… I also added some almond butter as another reviewer did. Doubled the recipe, too! Instead of chocolate chips, could you use diced apples and add a little cinnamon? It should work just fine. The only thing though is that it might make your cookies moister, you might have to increase baking time by a little. I just popped them in the oven!! So excited to try these cookies. I’d love to know how they turned out! Made these for an after dinner snack. Soooooo delicious. I used raisins in place of chocolate chips. This is going into the favorite recipe book! Loved them! Will definitely make them again. I always have these ingredients in the house. Hi, I was wondering how many grams of oats did you use in the recipe? All of my recipes’ measurements are volume based. 2 cups rolled oats converts to 180 grams, according to Google (I can’t confirm myself). I have a canister of organic old-fashioned rolled oats in front of me. For this product, the nutrition facts say that 1/2 cup is 40g. That would be 80g per cup. US products typically have serving size in cups (volume) with the corresponding grams in parentheses. So, from my canister, 2 cups would be 160g. Hope this helps. I’ve added cinnamon and pine nuts. Yummy!